North Eastern Indira Gandhi Regional Institute of Health and Medical Sciences (NEIGRIHMS), the premier medical institute of the Northeast situated in Meghalaya’s capital city of Shillong is under line of fire for alleged negligence of a doctor. Allegations are rife that a doctor from the Gynecology department of NEIGRIHMS has neglected the primary duty towards a patient and the patient was pathetically left unattended without treatment. Relatives of the victim patient have, meanwhile, filed a written complaint in this regard to the director of the institute. As per the complaint, Esterkhor Nongrum was admitted to the Gynecology department at NEIGRIHMS on August 6 with a swollen abdomen and mucus secretion. But, the relatives of the patient alleged that the attending doctor, Dr Sairem Mangolnganbi, the in charge, did not start treatment immediately. The complaint alleged that blood tests conducted on Nongrum showed her haemoglobin level as only 7 gms but no blood was given to her. The relatives went on to allege that Dr Mangolnganbi even did not give any heed to the severe pain and and suffering that the patient was going through and did not even come to see her. The relatives also alleged that Nongrum did not receive any treatment till August 25. Even as her condition worsened, she had to be hurriedly shifted to Nazareth Hospital in the city where she was operated upon the same day. The relatives also claimed that doctors at the Nazareth Hospital removed a five kg tumour from her body and cut off three feet of her intestine to save her life. 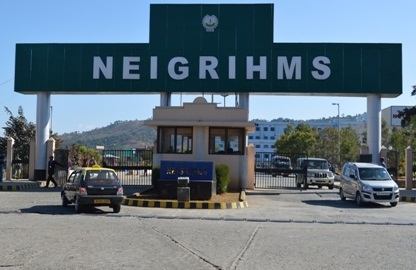 Through the complaint, the relatives now sought the intervention of the Director of NEIGRIHMS into the matter and taking strict disciplinary action against the doctor whose negligence had nearly cost the patient’s life.